Unlike a morning glory, it won't fade. Photo Credit: No, we don't have flowers blooming yet! I took this on a walk back in August '09. Aren't you looking forward to flowers blooming again?! 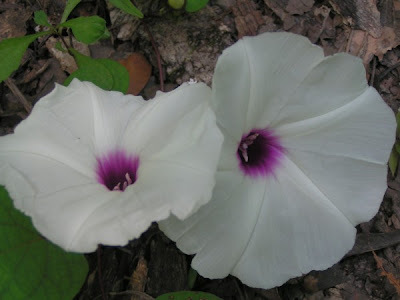 What a beautiful morning glory - I have only ever seen the purple variety. It is so true, though - the beauty that lasts is the beauty that comes from the reflection of our Lord, Jesus Christ carried within us. By the way great picture!